Incorporating these five food groups into your diet will help you get the nutrients and vitamins that your body needs into your diet and will help you become a healthier person overall. Many people do not get enough nutrients, which can cause a range of health problems. 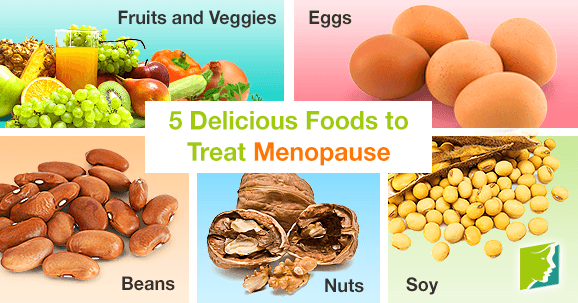 A healthy diet can also help fight menopause symptoms. It doesn't matter which fruits and veggies you choose to eat, as long as you are incorporating them into your diet in some way. Most people need to eat at least five fruits and vegetables each day. This means that you should be eating at least one fruit or vegetable with every meal, and eating two fruits or vegetables as snacks throughout the day. Eggs are a perfect choice for breakfast, lunch, dinner, or as a snack. They can easily be prepared in a variety of ways and paired with countless different dishes, so that you will not get bored of them. Also, eggs are full of protein and vitamins B5 and B6, which can help boost testosterone levels. Eggs can be fried and put on a breakfast sandwich, hard-boiled and packed for lunch every day, scrambled with veggies, added to soups and salads, and prepared in many other forms. Soy is a healthy protein and is low in fat. Soy makes up a variety of products, including soymilk, soy burgers, tofu, edamame, tempeh, and beans. Many people choose to incorporate tofu into their diet because it is a healthy and vegetarian protein source. It is recommended to eat meatless meals a few times every week, and vegetarian sources of protein, such as tofu, beans, and legumes, are often less expensive than meat. Peanuts, walnuts, pecans, almonds, cashews, and pistachios are all healthy foods that would benefit people to eat more of them. Nuts contain healthy, unsaturated fats, and health experts recommend eating a serving a nuts a few times throughout the week. Nuts make excellent snacks that you can toss in your bag and take with you to work or when you are out running errands. Keeping these on hand will help you avoid other, less healthy snacks. You can also cook with seeds and incorporate them into meals, baked goods, sauces, or desserts. Beans are extraordinarily versatile and make up an integral part of nearly every world cuisine. Rice and beans are a classic vegetarian dish that is flavorful, simple to make, and chock full of protein and other nutrients. Refried beans can be spread onto wraps and burritos, garbanzo beans can be blended into hummus or tossed into a stir-fry, kidney beans can enrich a chili, and most beans add flavor and nutrients to soups, salads, veggie burgers, and casseroles. Boosting your overall health can help you to be your best self and fight menopause symptoms. Click on the following link to read about more ways to treat menopause symptoms. Ros, E. (2010). Health Benefits of Nut Consumption. Nutrients, 2(7), 652-682. doi:10.3390/nu2070652. Q&A: What Are the Normal Changes a Woman Goes Through during Menopause? How to Recognize That My Wife Is Entering Menopause? As a loving husband, it is important you know when your wife is going through menopause. Keep reading to learn about the signs related to menopause.